Happy Holidays: Joy Studio is having a give-away! 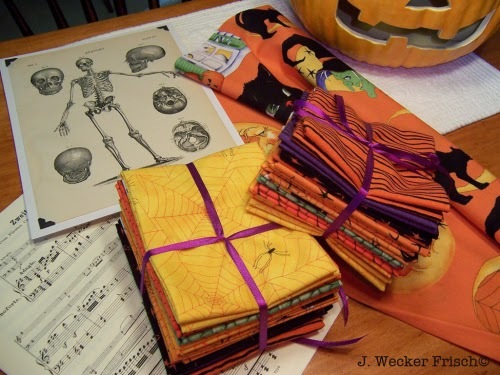 Visit "Joy Studio" if you would like a chance to win some of the Hallowe'en fabric that she is giving away. Looks like there are some really neat patterns for those Hallowe'en projects that are soon coming up. The winner will be announced on October 13rd, so hurry on over. Hi Len - So glad you stopped by my site. I have your 3 chances recorded. Also fun to see how you've posted about the giveaway. I wanted to be sure you knew that the winner will be named on the 13 rather than the 3rd. Thanks again. Going to have a look around your site as well. Sorry about the date mix-up. I have fixed it. That doesn't usually happen.